When parents sign their children up for martial arts classes very often they are looking for a healthy activity that will also teach their kids respect. And Karate certainly does that. However, also intertwined with respect is a trait, value or behaviour called COURTESY which we feel is equally important to teach all of our students at Bernardo Karate regardless of their age. 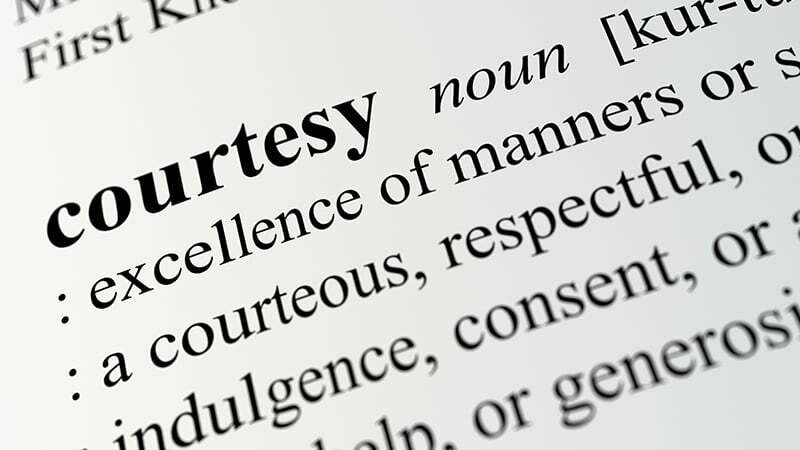 The definition of COURTESY in the English Oxford dictionary is the showing of politeness in one’s attitude and behaviour towards others; a polite remark or considerate act. At Bernardo Karate we provide ample opportunities for COURTESY to be displayed and practiced in all of our classes. First off, students begin and end each class by bowing, a courteous gesture showing respect for their Instructors, fellow students and the art they practice. Some other simple things we practice and focus on while teaching COURTESY is using words such as please, thank you and you’re welcome. These words alone help Bernardo Karate promote a positive environment where politeness is practiced and pleasant words are used to make families and students always feel welcome. At Bernardo Karate our Black Belt Instructors strive to be exceptional teachers and role models. Being courteous, polite, kind and respectful while teaching are the exact character traits and values we wish to build up in all of our students.